I actually read this before I read The Miniaturist and since I didn’t like that, I wonder if I would have picked this up. But since I read it before I eagerly took it up and actually rather enjoyed it. It was steady, not obviously exciting or adventurous, but it was interesting and dramatic in its own way. There was a lot of focus on the characters and their interactions with others to create the drama rather than needing too much outside influence, despite the civil war looming in the background in the 30s, which I must say did add its own tension and a wonderful historical reality. The story has a dual timeline which switches between 1960s London and 1930’s Spain, a connection between the two we’re not sure of until a painting arrives at the gallery where Odelle Bastien has begun working. Burton switches between the 1960s and the 1930s beautifully, mixing the stories together and revealing what needs to be told at the right times, holding back when needed. I liked that Burton gave us a few intriguing mysteries to ponder. I had theories about them and changed and altered them based on what happened in the story. Of course, some were predictable in hindsight, but there was always a slight chance that I was wrong, and I guess when I had a bet on either side I was going to right either way. I loved Odelle as narrator. I listened to the audiobook so Tyson did a beautiful accent which brought Odelle to life. But even without that, Odelle is a great character, she is a smart, sensible woman, she has pride and respect for herself and while she is a bit timid at times, she is also loyal and curious. 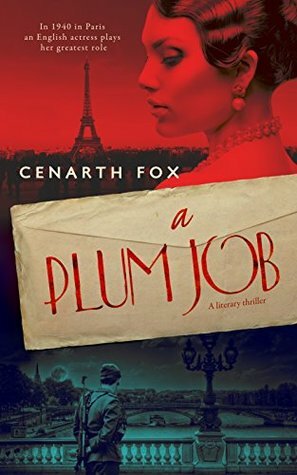 This curiosity gets her involved with her employer and starts her on her own investigation into why there are so many unanswered questions and mysteries surrounding not only her employer but also this new, important painting. There are many intriguing characters in this story. Isaac Robles and Olive Schloss are complicated in their own ways, as is Teresa. The pressure of their era and the secrets that they must keep haunt them and Burton brings this out in their words and their actions, making each one complex and full. The tone changes between each era are subtle but make a huge difference. Burton doesn’t just tell us we’re in the different decade, her writing has a different tone to it that feels freer or more confined, depending what is needed. I enjoyed where this story went, I became more invested as it went along in both Odelle and Olive’s storylines. I wanted to know the answers as much as Odelle did and I was curious how Burton would approach their reveal. What resulted was a captivating story with twists and turns that actually did surprise me at times. I loved the chaos of the characters and the human motives behind decisions that alter paths completely. I found myself wanting to keep going, I looked forward to getting back into the story, and with a curiosity of my own I wanted to see how it ended. Burton has created a story that will delight and surprise you in a multitude of ways. 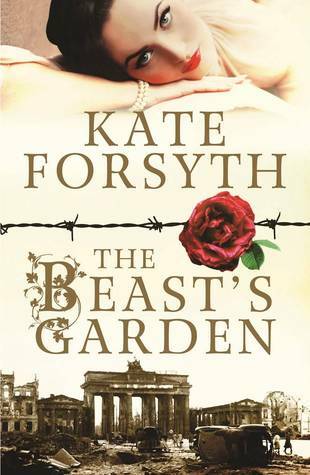 It has great a great historical presence across two defining eras of the 20th century, which has been coupled with fascinating characters that bring their own dramas to the page. Even if you weren’t a fan of Burton’s other work (as I wasn’t), give this story a go because it might just surprise you. Johannes’s gift helps Nella pierce the closed world of the Brandt household. But as she uncovers its unusual secrets, she begins to understand–and fear–the escalating dangers that await them all. In this repressively pious society where gold is worshipped second only to God, to be different is a threat to the moral fabric of society, and not even a man as rich as Johannes is safe. Only one person seems to see the fate that awaits them. 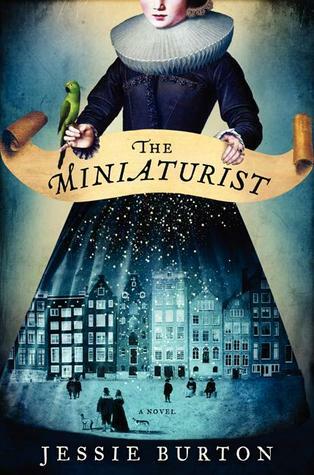 Is the miniaturist the key to their salvation…or the architect of their destruction? I’ve given it two stars, but by the end of it I wanted to give it 1.5. I was told this was a brilliant read, I did not find this. I persevered and hoped for something to come of it. And not only did I get no real answers, the ending was unsatisfactory and I feel a bit cheated. I don’t know whether this has to do with the magical realism side of the story, but I wasn’t a fan. The beginning started out ok, after a prologue from an unknown voice we’re introduced to Nella and her arrival at her new life. We’re thrust into Amsterdam in the 1600s and all its glory. 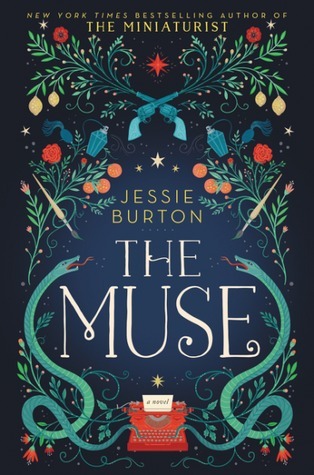 Burton makes it easy to understand while still having the gravitas it needed and the seriousness to understand Nella’s predicament, and her style of writing feels like it suits the era and is easy to comprehend. I settled into the story and got used to Nella and the other characters. I was intrigued, I was curious. It does start to go a bit stale and as part two hit I was weary but something finally seemed to be happening. This didn’t last though and the story dragged on. I think Burton tried to include too much. There’s the historical story happening with sugar, plus a lot of religious elements and political components. On top of that is Nella’s place and the mystery of the miniaturist. It makes for a heavy story and one that takes a lot of pages to tell. Some parts were predictable and it was a case of waiting for the book to catch up with what you already suspected. Other times it felt like every second chapter had a typical twist of some kind and it got to the point it was just “Oh, another twist, sure, why not’. I will give Burton some credit, she actually followed through on a few things I thought she wouldn’t, that impressed me. But in doing that she also added to the unsatisfactory feeling and the sense that while some things appeared to be resolved, nothing felt like it was. We’re left hanging, not even with a sense that we understand how things would keep going, an abrupt finish that doesn’t answer anything. I found that I wanted to get to the end without reading the middle. I figured I could ignore this middle part and just see what happens and get the answers to the big questions that Burton keeps raising. I wanted to get to the end to find out what the whole point of it was and found nothing but disappointment. It was anticlimactic after the [supposed] build up and it felt flat. I’d been looking forward to reading this for months and had it praised and recommended to me by a few people so I was eager to see what it was like. Not to mention the beautiful cover. To come out the other end with meagre enthusiasm is a sorry state to be in. It’s September 1967. As the Vietnam War and a militant Antiwar Movement hurtle toward explosive confrontation, Steve Harris – white, idealistic, and naïve — begins his freshman year. During that year, he will fight to end the war, fall in love, confront painful truths about his family, and be jailed and beaten by police. Through this crucible, he emerges with a transformed consciousness, of the world and of himself. The change begins with a rousing antiwar speech delivered by Emma Gold, a Depression-era radical. When Emma introduces him to young Cat Crawford — inter-racial, brilliant and exotically beautiful – his bewitching is complete. The two students’ instant friendship blossoms before long into a passionate love affair. Their bond is tested, though, by the mounting demands of the Antiwar and Black Power Movements, and by their own deep-seated psychological issues. I have mixed feelings about this story. The content was interesting; I learnt a few things and felt I was reading through history, but at the same time I didn’t really connect with the characters or their story. I am fully prepared to accept it may have been me so don’t let that deter you, there is no denying the effort and creativity Isaacs has gone to to bring this story to life and pack it with so much history. 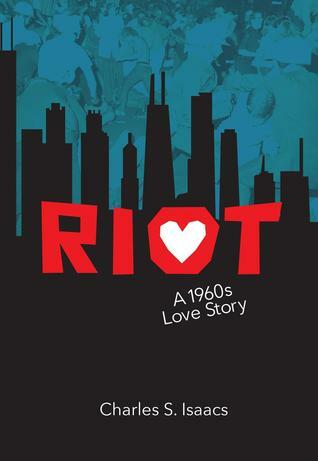 Described as a 1960s love story there is a blossoming love but romance isn’t the sole focus of the novel. Steve is a college student who finds love and friendship during a critical time in late 1960s America; the Vietnam War has begun and the civil rights movement is underway. These important moments of history get embroiled with his life and Isaacs tells a story about the life of students and regular Americans who are trying to stop a war no one wanted and survive the tensions between black and white America. After being fairly oblivious and uninterested in politics and racial conflicts, Steve has his eyes opened when he befriends bookshop owner Emma and fellow student Cat and soon he discovers the world of anti-war protests, boycotts, and the civil rights movement. In doing so you see Steve find his feet and a sense of purpose, he jumps at the chance to become involved. Steve, Emma, and Cat are the three central characters, detailed and complicated enough which makes them well rounded. Steve is naive but willing to learn, and his eagerness to contribute is admirable. When he meets Emma and Cat you begin to see him grow and become more aware, which in turn affects other aspects of his life and the decisions he makes. Emma is a fiery, strong willed woman who is passionate and willing to fight for what she believes in, she goes out of her way to help people and her generosity and good nature compliments her fierceness really well. Cat is similar in her own way, though her past holds her back and she wavers between fighting for what’s right and holding back. Throughout the story you see the stress of fighting a war affect everyone, especially Steve and Cat, and the strain adds drama to their relationship. Isaacs mentions at the end that only a very small part of the book is fiction, many names, events, books, and songs mentioned are real and historically accurate, something which helps to bring the late 1960s to life. As you read you recognise key moments in history like protest marches, Martin Luther King Jr’s speech, flowers in rifles, and the fight for civil rights. If you love history then this would probably be a fascinating account of American history to dive into. At almost 500 pages there is a lot of detail and Isaacs paces it accordingly. Things follow at a realistic pace, day by day almost rather than large jumps and in doing so it shows how much actually happened in such a short period of time and the ongoing effort people did behind the scenes before grand demonstrations. This does make it a slow read when nothing seems to happen for a long time, but this is where the romance and personal relationship elements balance with historical events. There are a lot of positives about this book, the research is incredible, the detailed exploration of key historical moments, and the subject is interesting, but despite that I found that I couldn’t get into the story. 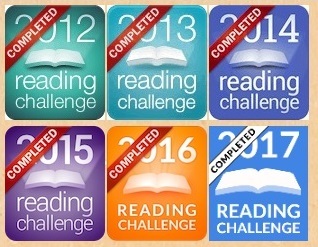 It wasn’t the length, being an ebook I didn’t actually notice it until much later, I just found I wasn’t connecting with the characters or their lives and the writing style was hard to get into. I say this of course contrasted with the fact that it was interesting to read about all the protests and the effort students and people went to show their disapproval of the war, and the campaigns they ran to boycott products. I did enjoy reading about the civil rights, the reactions to King’s speech and the fight for equality. But aside from recognising these moments and learning the details I still couldn’t connect. There are surprises and a few unexpected moments that add emotion and drama as Isaacs links history with the romance and the fiction, and seeing the everyday person react and interact with history offers great insight away from it being simply a past event. I’m disappointed I didn’t love this book more, but there is no denying that it was an interesting read.